I proudly celebrate our great city’s rich history, but I do not believe that we are defined by our history alone. We will always be the City of Five Flags — but now is the time for us to turn our focus to our city’s bright future. The silly season has come to the City of Five Flags. Not that long ago the city of Pensacola, and then the Escambia County Commission, entered the fray over the Confederate battle flag. (This is the same flag that, until recently, festooned Bo and Luke Duke’s Charger, The General Lee.) Such was necessitated by the shifting tide of public opinion over flying the Stars and Bars as part of the area’s iconic, perhaps outdated, brand: the “City of Five Flags” is market-speak that compactly conveys Pensacola’s long and interesting history on the Gulf Coast. That the battle flag offended some, however, was undeniable and a community dependent on tourist dollars does not need to be provocative. …the new marketing message for the City of Five Flags is this: come for the history, just not that one. 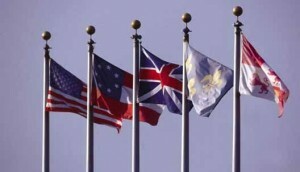 Yesterday our lawmakers voted to remove the first national flag. It is not because it became notorious overnight. It has not been identified with any particular hate group; nor has it, as Pensacola’s mayor puts it, become “a painful symbol of racial hatred and intolerance.” Rather, one must surmise its removal is the result of a whole new wave of protest, which I call confederaphobia: a fear of all things confederate. Because Pensacola was part of that past, a politically incorrect past, the politicians aim to airbrush it out of the public square. So the new marketing message for the City of Five Flags is this: come for the history, just not that one. The state flag of Florida will now fly in its place. The problem is, the replacement, any replacement, disrupts the context provided by the other four. As it stands, the message is just as stark as if the pole had been left empty. 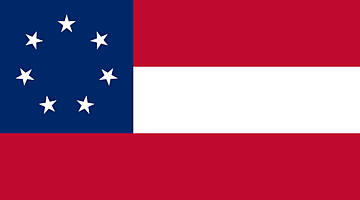 (Ironically, nearly all of the states of the original Confederacy incorporate elements of the battle flag in their own flags, including Florida.) The politicians might be better served by ditching the French, English and Spanish flags and getting out of the history promotion business altogether. The lessons for genealogists are disturbing. The politicization of history is having a chilling effect on our craft. Sensitivity and respect, yes. But fear of giving offense shuts down discussion. Conversely, the pursuit of “politically correct” narratives conflict with our best practices. Think of it as an expansion of the old problem of how to deal with the crazy old aunt who died in an asylum. …the story of Pensacola’s relationship with her people of color might just be surprising. Ironically, confederaphobia also complicates the task of black family researchers. I learned from go-to expert Frazine Taylor that slave research can be daunting. Dogged persistence and hard work is required. Part of that work requires the black family historian to get as throughly familiar with the institution of southern slavery as possible, advice that I would offer to any researcher of the period. See, e.g., Reclaiming Kin (Slave Research: Four Things You Need to Know). To do that, the stereotypes that make for compelling political narratives or offer the moral high ground will not do. Uncle Tom’s Cabin and Gone with the Wind cannot be the basis for a proper understanding of the antebellum south. Thus dispatched, the story of Pensacola’s relationship with her people of color might just be surprising. But in today’s ahistorical climate it may be difficult to pick up Blassingame’s The Slave Community or Owsley’s Plain Folk of the Old South without feeling someone’s withering stare. If the foundational principal of good genealogy is owning up to the truth of our past, warts and all, then the present wind will blow us no good. This entry was posted in Antebellum Family Research, Slavery and tagged Ben Affleck, Finding Your Roots, Slavery. Bookmark the permalink.